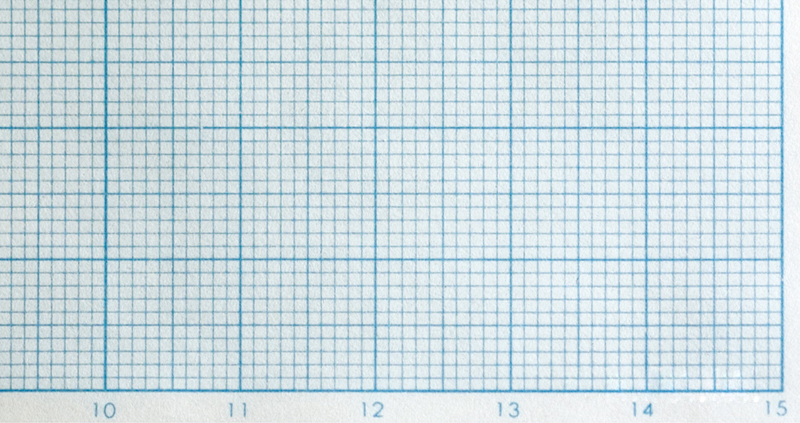 Graph paper is writing paper with equally spaced horizontal and vertical lines printed in a grid. General types are comprised of 1 mm squares (each side of the square grid being 1 mm) or 5 mm squares, and some have bold grid lines every 10 mm. 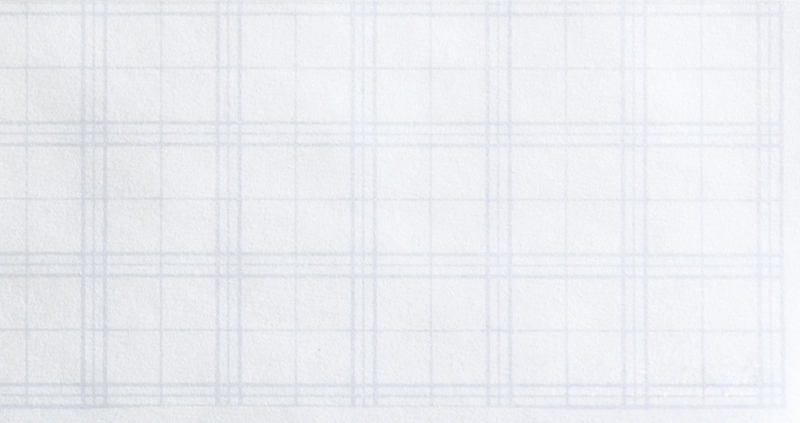 The grid lines are usually printed in either a light grey, so that pencil or ink lines are not overshadowed, or a light blue, which does not show up when copied. 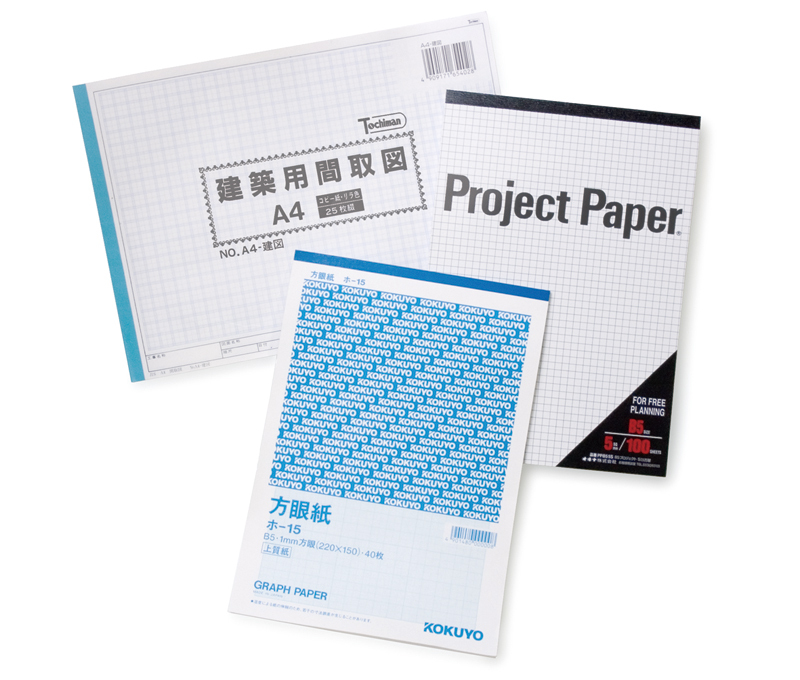 Other types of paper known as “section pads” and “project paper” can be used in a similar way. Graph paper can be used in various ways. It can be used to develop designs, concepts and ideas while drafting, designing and creating lettering. For example, you can place a machine part on the graph paper and draw around it to copy its shape, or alternatively, use gridded tracing paper and make a rubbed copy to obtain a rough outline of the object. Gridded tracing paper is useful when mulling over ideas because multiple sheets can be placed over one another and lined up with the grid lines. However, this is just an aid to allow smooth development of ideas. The grids should only be used as a rough indication when aligning the sizes and taking measurements. For formal drawings, you should use the specified dimensions. Some graph paper is made of cardboard and can be used as is for craftwork, for producing 3D models and for making dressmaking patterns. 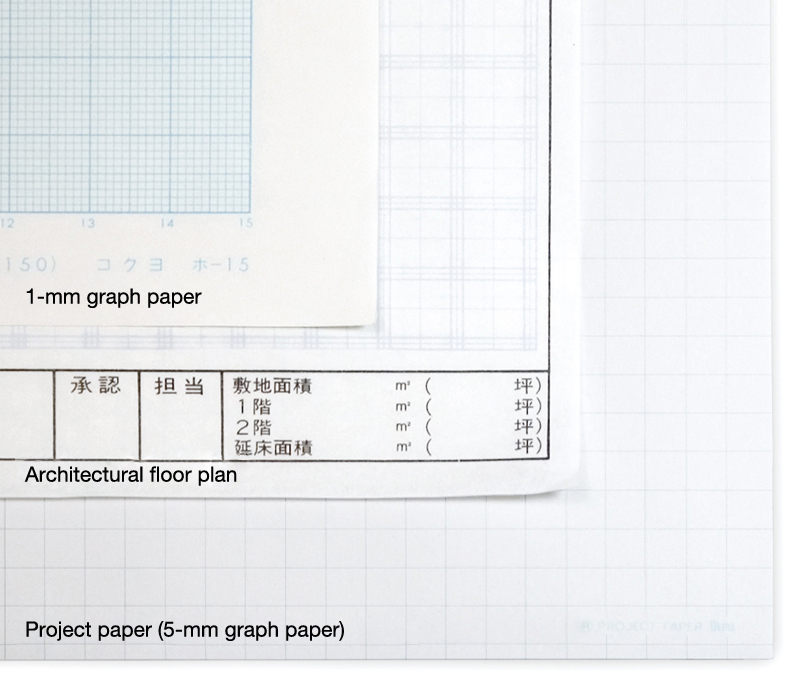 Architectural graph paper is printed with 9.1 mm squares (910 mm = 3 shaku in the old Japanese measurement system) based on the traditional Japanese system of measurement to facilitate easier planning of furniture and building layout. 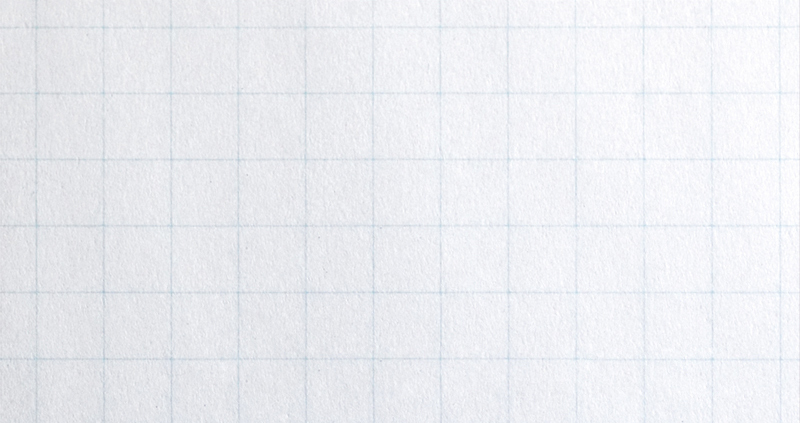 Graph paper can be purchased at art supply and stationery stores.